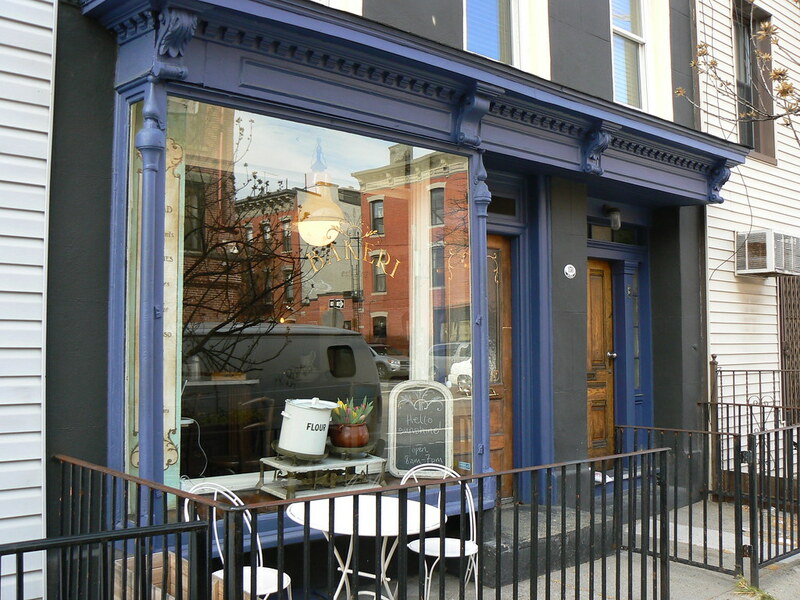 This post originally appeared on my soon-to-be-defunct cafe culture review site, Project Latte. One of our overall favorite spots, this bakery with a northern European bent has beautiful decor and a design sense that covers the smallest details, friendly service by (mostly) women in retro mechanics uniforms, high quality baked goods, good savory items, and occasionally good Counter Culture coffee. 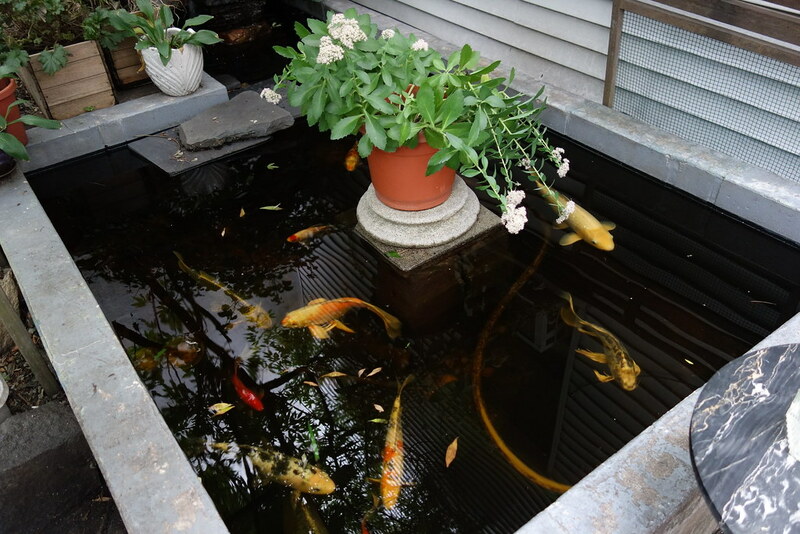 In the warmer months, the backyard garden is a treasure, complete with koi pond. There’s no wifi, but that’s not what Bakeri is about anyway. 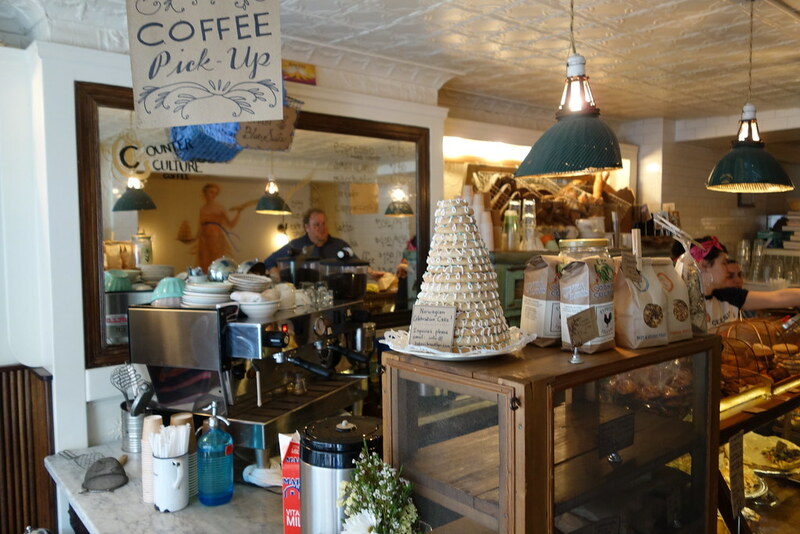 If it’s not too cold out, there are a couple of metal tables on the sidewalk, while inside there is some cozy seating by the window and an antique heavy wooden communal table fronting the pastry case. Our favorite area is the whimsically decorated single-seat nook leading to the backyard garden, a perfect place to write in your diary. To the right of the pastry case is a combination prep and extended display area. The Counter Culture espresso, despite being prepared on a La Marzocco, ranges from carp-killing to not bad, but they have some nice iced teas. Savory food consists of pre-made high quality sandwiches on good bread and daily prepared specials, oftentimes a kale salad and some type of soup, while sweet items run the gamut from a rose water shortbread to bread pudding to croissants to coffee cake. A signature house item is the vanilla cardamom custard skolebrød which is richly flavored and delicate, with coconut thinly shaved on top, a Scandinavian improvement on the New York danish.